WOODLAND HILLS, CA., March 8, 2011 /PRNewswire/ — As part of its constant effort to offer versatile products that maximize stylists’ creativity and fearless self expression, Sebastian Professional has once again put its ear to stylists’ stomping grounds to discover how to better enable their talents and, in turn, amaze their clients. In March 2011, Sebastian Professional will proudly inject new potential into its line-up with the launch of Color Ignite, an all-new color care offering. This unique line of professional color care products offers two custom-tailored formulas designed according to the color techniques used – SINGLE TONE for single tone colored hair and MULTI TONE for multi-tonal and lightened hair. The coloring process, by way of course, alters the chemical structure of the hair shaft, stripping it of its protective “f-layer,” which is responsible for holding onto conditioning ingredients. With the f-layer compromised, the hair shaft becomes very “thirsty” and will absorb water quickly and more easily. Since water alone is responsible for 80% of color loss, it’s important to care for color-treated hair with a shampoo and conditioner that contain the appropriate ingredients working in concert to allow conditioning properties to adhere to hair. To address this, Sebastian Professional formulated its new Color Ignite regimen with “Smart Color Complex,” which contains Smart Polymers in the shampoo that allows conditioning agents to adhere to the color-treated hair. Smart Color Complex intelligently recognizes, responds and reacts to the varying conditions of single tone or multi-tonal and lightened hair for individualized results. 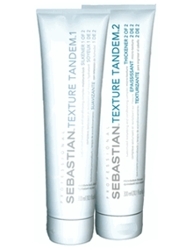 Through two unique shampoo and conditioner offerings, Sebastian helps address the need to protect and preserve results so hair rocks exceptional shine and color vibrancy. * In SINGLE TONE Shampoo and Conditioner, for single tone colored hair, the “Smart Color Seal Complex” helps seal the cuticle and smoothes the hair surface. * In MULTI TONE Shampoo and Conditioner, for multi-tonal and lightened hair, the “Smart Color Moisture Complex” targets damage or gaps on the hair strands and helps restructure them to unleash color vibrancy on both the colored and highlighted strands. NEW Whipped Form: Color Ignite conditioners come in a new light, whipped form and provide effective spreadability and even application across all hair fibers. The whipped form has thousands of micro bubbles that create a super thin veil of color protection polymers that reach and wrap each hair fiber, adding shine to your outstanding color. As a part of its constant mission to source bright, bold new visionary muses for inspiration to its stylists and consumers, Sebastian took to the music industry to discover its most captivating star yet to represent Color Ignite. 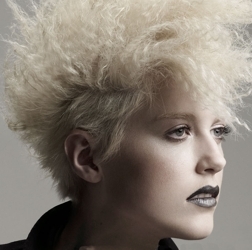 Chosen for her colorful energy and magnetic allure, Maja Ivarsson from the band, The Sounds, represents the essence of vibrancy and serves up the highest inspiration for untamed, fearless self-expression. The perfect combination of glamour and attitude, Maja is not only the hottest dame shocking the universe with her powerful vocals, she’s also turning heads and making a name for herself for her provocative fashion sense, too. Since the day this Swedish siren burst onto the scene, Maja has time and again proved her appeal as a daredevil singer with mega-watt style. P&G Beauty & Grooming products help make beauty dreams real for women worldwide and help men look, feel and be their best everyday. With more than 100 brands available in nearly 130 countries, P&G’s beauty and grooming products delivered sales of over $26 billion in fiscal year 2008/09, making it one of the world’s largest beauty and grooming companies. P&G Beauty & Grooming offers trusted brands with leading technology to meet the full complement of beauty and grooming needs, including Pantene®, Olay®, Head & Shoulders®, Max Factor®, Cover Girl®, DDF®, Frederic Fekkai®, Wellaflex®, Rejoice®, Sebastian Professional®, Herbal Essences®, Koleston®, Clairol Professional®, Nice ’n Easy®, Venus®, Gillette®, SK-II®, Wella Professionals®, Braun® and a leading Prestige Fragrance division that spans from point of market entry consumers to high end luxury with global brands such as Hugo Boss®, Lacoste®, and Christina Aguilera®. Please visit http://www.pg.com for the latest news and in-depth information about P&G (NYSE: PG) and its brands. This entry was posted on Tuesday, March 8th, 2011 at 1:34 pm	and is filed under Beauty Beat, Celebrity Gossip, Celebrity News, Hair. You can follow any responses to this entry through the RSS 2.0 feed. Both comments and pings are currently closed.